I am so excited to be involed in this project! 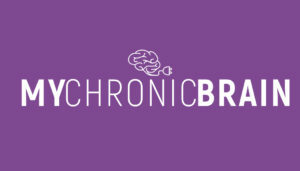 My Chronic Brain is an online magazine for chronic migraine sufferers launching in January 2019! I am the Resources & Advocacy Editor and I look forward to continuing to find ways to connect fellow migraineurs with their elected officials so they can impact policy and affect positive change. Beth Morton is the Science & Health Editor for My Chronic Brain and she is reintroducing #MigraineChat! The first one is happening this Monday, December 3rd. But, I’m going to let her tell you herself. Here is Beth’s blog post from her blog, Counterfactual Brain. Posted with permission. Welcome to the homepage for the #MigraineChat Twitter chat. This monthly chat will take place the first Monday of each month from 1-2pm eastern time. The goal is to cover topics that resonate with those with migraine disease. #Migrainechat was previously hosted by Anna Eidt. With her blessing, I’m re-launching the chat and partnering with my fellow My Chronic Brain editors to reach those who might benefit most from camaraderie and sharing information about a range of migraine-related topics. We have a few chats planned already, but if you have topic ideas, please feel free to share them in the comments below and join us over on Twitter each month. Are you newly diagnosed? We’re here to help! Have you had migraine for years or been chronic for quite some time? Share your experiences and possibly learn some new tips! 1. Introduce yourself! At the start of each chat, share where you are joining from (if you’re comfortable doing so) and maybe a fun factoid. Open a Twitter browser, then enter #migrainechat in the search window. Once the results come up, click “latest” to see chat tweets in reverse chronological order. Keep refreshing your browser. Alternatively, consider using a site like Tweetdeck, Hootsuite, or TweetChat. 3. To keep things clear, use a Q1/A1 format for your tweets. For example, when we tweet our question Q1, you’ll start your responding tweet with “A1: ….” If your response requires multiple replies, you can use something like A1.a, A1.a, A1.c, etc., numbering or thread your responses. You can also quote tweet our question with your response. 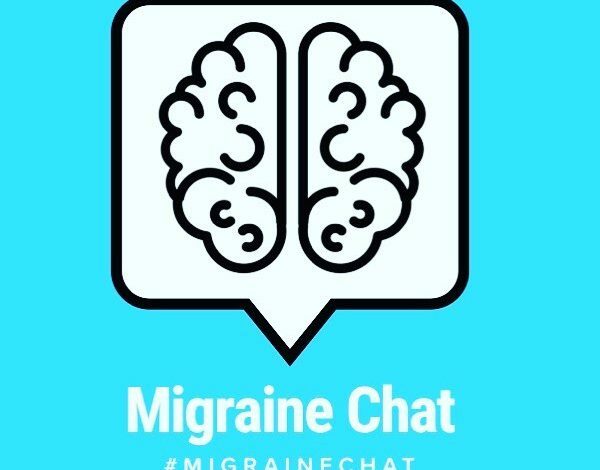 Don’t forget the #migrainechat hashtag (even if quote tweeting)! 4. You don’t have to answer every question. Contribute wherever you are comfortable. 5. We value interaction. Read, reply, like, engage with, and retweet others’ responses. We want this to be a chance to share and learn. Retweet responses that resonate with you to share with your own followers. If you know of relevant resources or articles, add references. Be respectful of others’ experiences. We each experience migraine differently. Be gentle with unsolicited advice. Topics may cover products and services that help manage life with migraine. Sharing is encouraged. We just ask that you refrain from using the chats to sell your personal products. Give proper attribution to retweets (e.g., quote tweet or use RT and original @handle). 7. Use these chats as an opportunity to find and follow new people! Hey Twitter friends, for the next hour, I’ll be joining #Migraine Chat Monday (#migrainechat). If you’d prefer not to see these tweets in your feed, feel free to mute the hashtag. I’d encourage you not to, though. You’ll learn a lot! That’s it! Mark your calendars and prepare for the social event of the month every first Monday!